A Copperas Cove student killed in a car accident in May will be honored when one of her teachers carries her picture during the Cove House Classic 65 mile bike tour on Saturday. 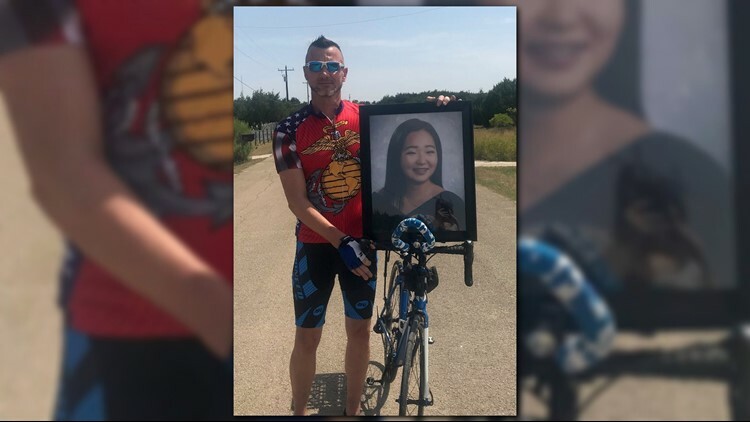 A Copperas Cove teacher and Marine Veteran will honor a student killed in a car accident when he rides in the Cove House Classic 65 mile bike tour on Saturday, according to a press release sent by CCISD on Wednesday. Sean Royal will carry a photo of Sarah Stephans, who died just days before graduation in May. Stephans was in a two car accident on Highway 183 near Liberty Hill on May 20, according to the Copperas Cove Leader Press. Royal will also carry the American Flag during his ride as a way to represent the Flags4Fallen organization. The group encourages volunteers to carry US flags for families who have lost someone too soon. Stephans was also the student aide to the nurse at Copperas Cove Junior High and the students loved being around her due to her positive disposition and compassion, Royal said. “We lost a beautiful soul who can never be replaced and it is during these difficult times that we are especially grateful to people like Sean for his compassion and support,” said Sarah's uncle Charles Stephans. The Copperas Cove High School JROTC Bulldog Battalion Color Guard will fold and present the flag to the family after Royal crosses the finish line.